Mercedes-Benz set a new benchmark by launching the new S 600 Guard. 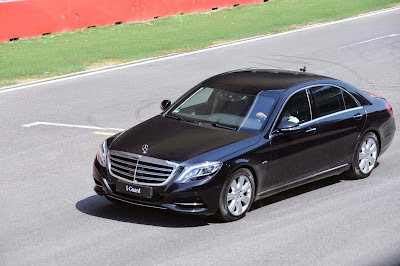 This is the armoured version of the standard S600. The flagship model is certified for the highest ballistics protection class VR9, which can withstand rifle fire and protection from grenades and explosive charges. It has bullet proof windows, AIRMATIC suspension, powerful V12 engine, intelligent driver assistance systems and unrestricted day-to-day suitability. The glasses are coated with polycarbonate on the inside for splinter protection. 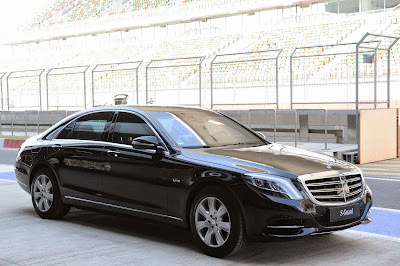 Mercedes-Benz has the world’s widest range of special protection vehicles available today. 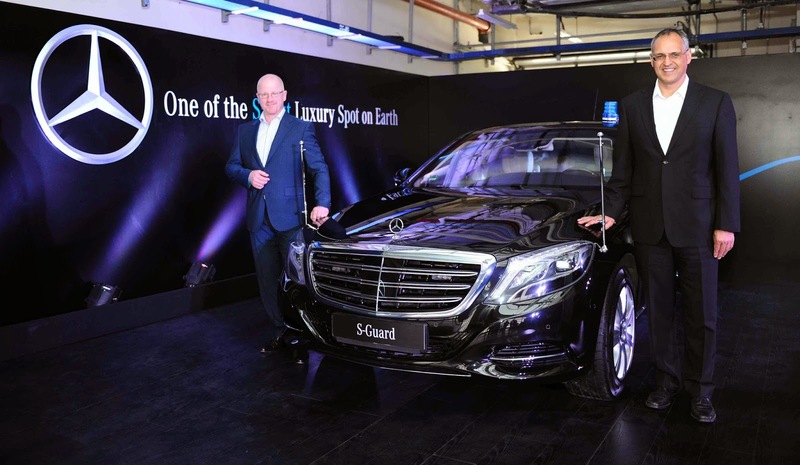 The Mercedes-Benz Guard range currently has models from the S, E, M and G-Class, globally. Eberhard Kern, Managing Director and CEO, Mercedes-Benz India stated, “We are glad to introduce this ‘fortress on wheels’ for our exclusive set of high profile Indian customers, who require the highest levels of protection when on the move, and rely only on Mercedes-Benz special protection vehicles. 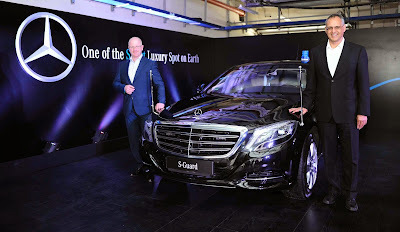 With the launch of the new S 600 Guard, Mercedes-Benz India now provides a formidable range of special protection vehicles comprising the E-Guard and M-Guard, for the Indian market”. Like the flagship S-Class model, the S 600 Guard excels with exemplary headroom and elbow room in the rear. The new S 600 Guard is available both as a 4-seater and as a fully-fledged 5-seater, and offers unrestricted day-to-day suitability by virtue of a 350-litre boot capacity and high payload. The S 600 Guard delivers superior performance because of its V12 petrol engine, which now generates 530 hp and 830 Nm of torque. 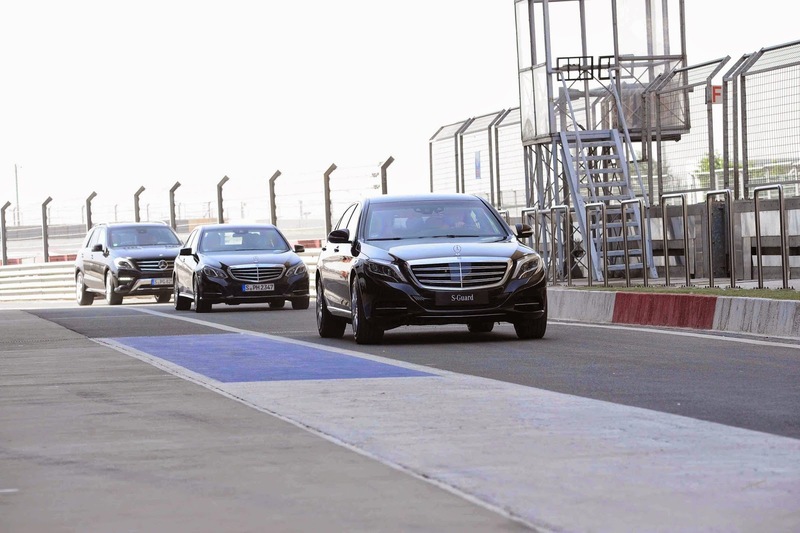 Standard equipment on the S 600 Guard includes Michelin PAX run-flat tyres with an additional tyre pressure monitoring system which allows to run a distance up to 30 km even with damaged tyres. Nice news article, keep up the good work bro.